Our black two tier dish rack has a large amount of drying space, allowing you to wash many items at once. 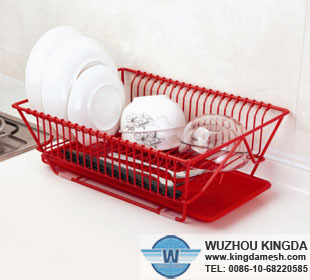 The dish rack also features a separate compartment for cutlery which provides more space to stack crockery and allows cutlery to dry more efficiently. Our black two tier dish rack neatly organizes dishes after they have been washed. Built-in Micro ban antimicrobial product protection fights the growth of stain and odor-causing bacteria. Your dish rack will remain looking and smelling fresh. detachable silverware cup. Our black two tier dish rack holds a variety of dinnerware and cookware. A removable self-draining board and detachable multi-purpose flatware caddy flatware tray are also included. The drain spout can be set in multiple positions. Hand wash only. Our black two tier dish rack will keep your dishes organized and safe as they dry. 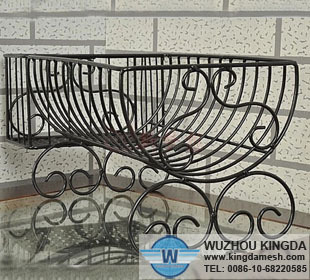 Crafted from iron with black powder coating, the dish rack has tons of room for dinnerware and cookware. The detachable caddy is the perfect place to store flatware and all your kitchen tools. 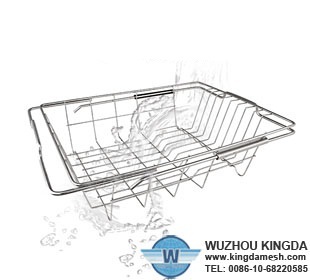 The self draining board has a wide mouth which ensures proper drainage. 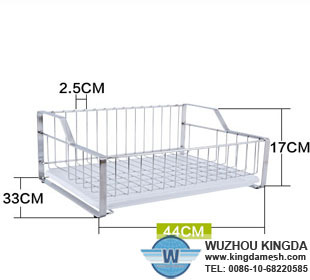 If you are interested in them, welcome WUZHOUKINGDA, you definitely won't be disappointed.